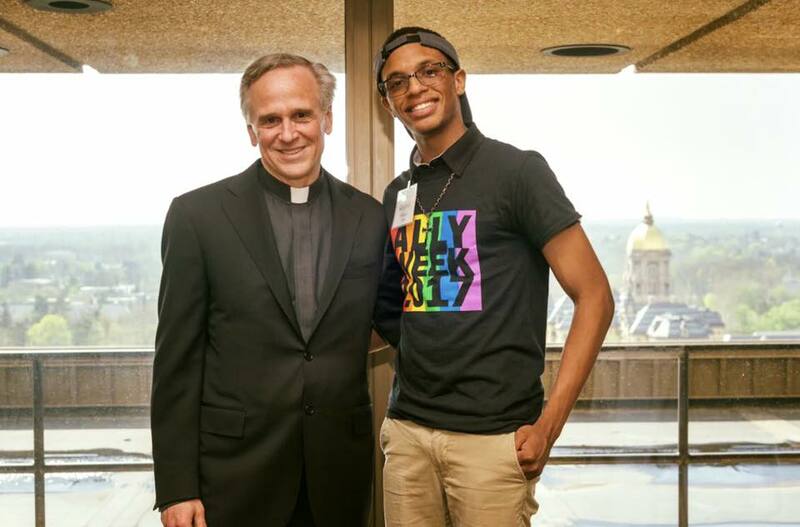 Kendrick Peterson, an out, proud student who is making a difference at ND. He is an officer in the LGBT student group PrismND and on the GALA ND/SMC board. He was recently featured in an amazing video about his journey coming to Notre Dame. This video was made by the ND Admissions office as part of a series highlighing current students, and will be made available during this fall’s recruiting season. 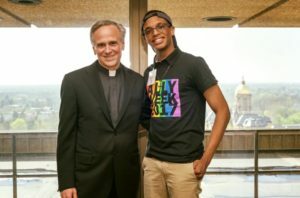 Thanks Kendrick for helping to create change at ND! This entry was posted in News by GALA Chair. Bookmark the permalink.